We offer a roundtrip shuttle service from Don Mueang International Airport to the hotel. 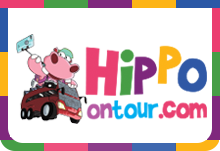 When you arrive at the airport, after completing the immigration clearance, please find the receptionist with the Hippo On Tour logo and the name sign on the door 2 of the arrival hall. Then get off at the shopping center or go back to the hotel directly. ** night 23:51 to the next morning 06:59 to arrive at the flight of the guests, as well as evening 20:01 to the next day 04:59 departure flight guests can only arrange shuttle bus, at an additional cost, Our staff will be notified and charged at the time of booking. Sukhumvit 1 to 31 (single) and 2 to 24 (double) area, Pratunam, Silom, Langsuan, Wireless Road, Sathorn, Surawongse Street, Siam, MBK Shopping Center. Transfers to this hotel will be charged at an additional cost when booking. For hotels that are not in the above area, only shuttle bus can be arranged. Please note that the city ​​tour and the temple tour were suspended from October 1 to October 30, 2017 for the death and funeral activities of the King of Thailand.